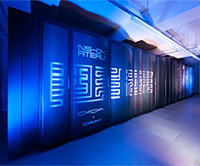 Priority Issue 9 to be Tackled by Using Post K Computer "Elucidation of the Fundamental Laws and Evolution of the Universe"
Post K priority issue 9 is a project for application development and research to take advantage of the capabilities of the next-generation supercomputer Post K in 2020. There are a variety of challenges in science and society. Priority issue 9 elucidate the history of the creation of matter, over the particle physics, nuclear physics and astrophysics. We are developing the Bridge++ code for lattice gauge theory simulations encompassing QCD. We aim to develop easily usable code that supports a broad range of architectures from personal computers to supercomputers, and achieves the performance required for leading-edge research, by applying different lattice actions and algorithms. Code design and development is ongoing through study meetings. We welcome individuals who wish to become involved in code development, regardless of their level of experience.